Impact Franchises : What is a Franchise? For those new to franchising, a franchise is the granting of a license by one person (the franchisor) to another (the franchisee), which entitles the franchisee to trade as their own business under the brand of the franchisor, following a proven business model. We are already familiar with many franchise offerings e.g. McDonalds, Costa. The franchisee also receives a package, comprising all the elements necessary to establish a previously untrained person in the business and to run it with continual assistance on a predetermined basis (including a predetermined agreement length, with renewal options). You don't have to come up with a new idea - someone else has had it and tested it too! Each franchise business outlet/unit is owned and operated by the franchisee. However, the franchisor retains control over the way in which products and services are marketed and sold, and controls the quality and standards of the business. The franchisor will receive an initial fee from the franchisee, payable at the outset, together with on-going management service fees - usually based on a percentage of annual turnover or mark-ups on supplies. In return, the franchisor has an obligation to support the franchise network, notably with training, product development, advertising, promotional activities and with a specialist range of management services. The franchisee will also need enough 'working capital' to finance operations until they are profitable. The length of time this takes and the working capital required varies per franchise. Can you work within a prescribed business model? Do you have realistic expectations of business growth and timescale? Have you support of your family? Does the franchise suit your skills and experience? Are you prepared to sell? Have you done your research, not only on the franchise but also on the local demand? This site makes no recommendations about any franchise. 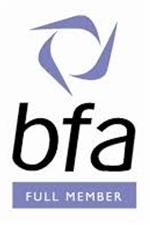 We do though recommend thorough research including talking to existing franchisees, taking professional advice and attending workshops such as the British Franchise Association's 'Prospective Franchisee Seminar' which is held at various locations throughout the year.